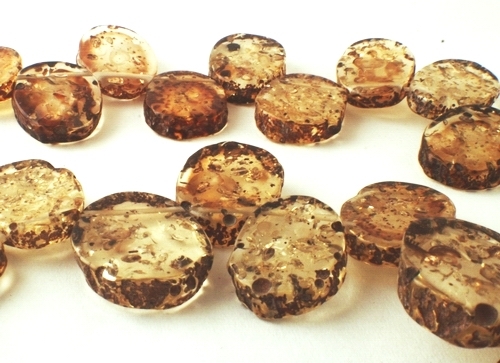 33 Large Straw-Yellow Amber Flat Oval Beads - Unusual! Price is per 16-inch strand of these beautiful light-yellow beads - about 33 beads to the strand, top-drilled. Each bead measures about 20mm x 15mm x 5mm. Quite large - so a strand will go a long way!